Pioneers in the industry, we offer chemical storage tanks from India. We are a trusted name in the industry for manufacturing and trading Chemical Storage Tanks. The offered tanks are used in chemical industries for supplying chemicals in chemical plants during shortages. These tanks ensure hassle free operations and are extremely safe to use being leak proof. The offered tanks are capacious, resistant to chemicals and meant to serve a long period of time. 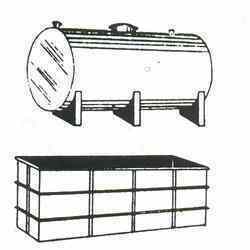 Looking for Chemical Storage Tanks ?